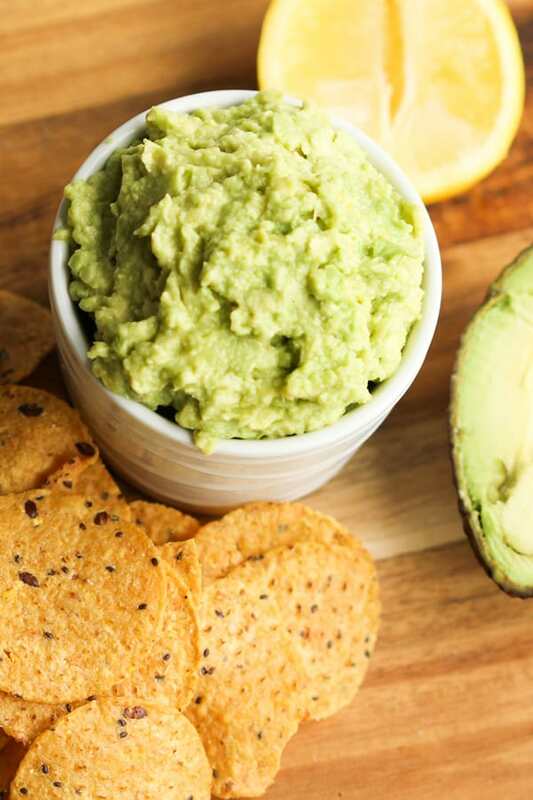 This healthy, quick and easy guacamole uses only 4 ingredients and is ready in minutes. This is perfect base recipe for your avocado needs. Serve it as a dip, on nachos, in tacos or on sandwiches. Guacamole may cost extra at your local Mexican joint but trust me – it’s totally cheap and easy to make at home. This 5-minute recipe right here is all you’ll ever need. We start with a base recipe that’s perfect as if, and is especially good for slathering on tacos and fajitas. 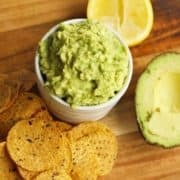 You can then pick and choose from a list of optional add-ins to pimp your guac up to use as a standalone dip. Easy base recipe that you can build on. Goes well with SO many things. To make the best guacamole you’re going to need to use a ripe avocado. There’s a whole lot of resources out there that claim to have the best trick to picking ripe avocados but I’ve found nothing works better than a simple touch test. Ripe avocados feel slightly soft but not too mushy when you apply gentle pressure to the top (where the small stem is). 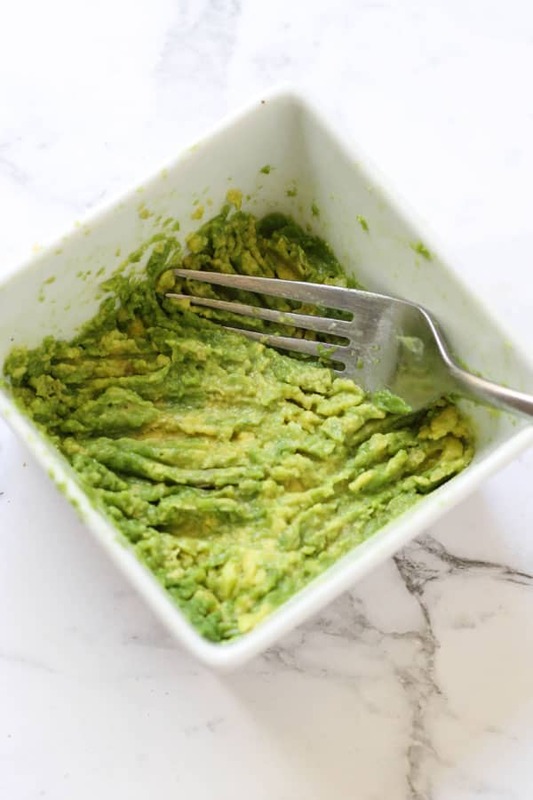 I’ve made this quick and easy guacamole a base recipe that you can easily add to if you’d like. I personally love a simple guac, but there’s also times when I like to pimp it up with some diced onions and tomatoes. 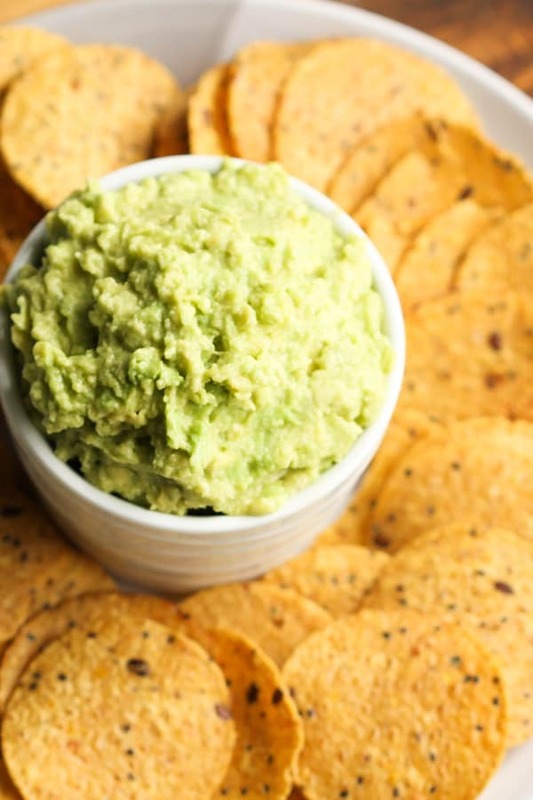 Here’s a list of optional extras you can mix into your guacamole – feel free to mix and match! Slice the avocado in half, remove the seed and scoop out the flesh into a bowl. Mash well with a fork. Add the rest of the ingredients (olive oil, lemon juice, salt & pepper) and mix well. Add in any of the optional ingredients (if using) and mix well. Guacamole is really best served fresh. You can make ahead an hour or two before you are ready to use and keep it in the fridge but I really wouldn’t encourage you to store it for any longer. Given that this is a 5 minute recipe, it’s super easy to make it fresh every time before use. If you don’t think you’ll use it all in one go, halve the recipe. 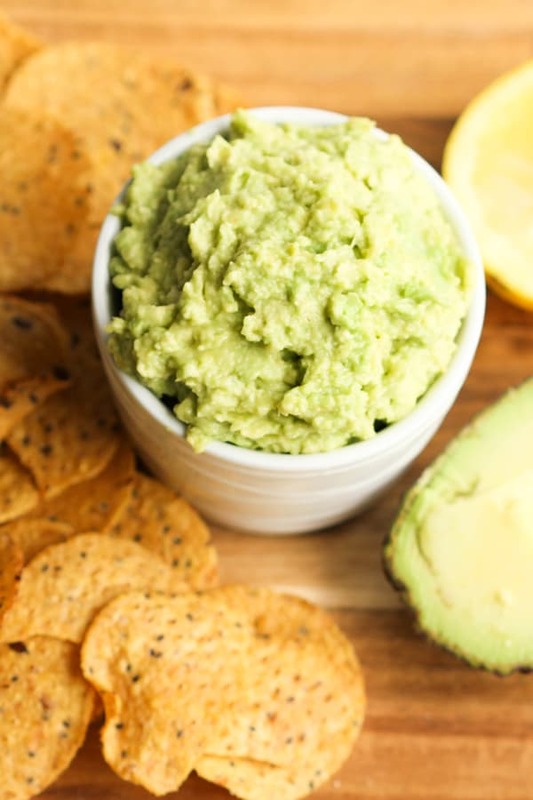 If you’ve tried this Quick and Easy Guacamole I’d love to hear how you enjoyed it! Pop a comment and a star rating below! You can also FOLLOW ME on FACEBOOK, INSTAGRAM and PINTEREST to keep up to date with more delicious recipes. Whip up guacamole in a pinch! Pick ripe avocados - you want avocados that feel slightly soft but not mushy. Salt generously - avocado and salt are the perfect match. Don't be stingy here. Serve immediately - I know there's plenty of articles out there that say you can cover it in plastic wrap, water or extra lemon juice to keep it from browning but the very best way to enjoy it is to serve it fresh! Recipe first published January 22, 2018. Updated April 17, 2019 with more photos and tips - no changes to the recipe. Nutrition information provided by nutrition calculator and is for the whole dip.